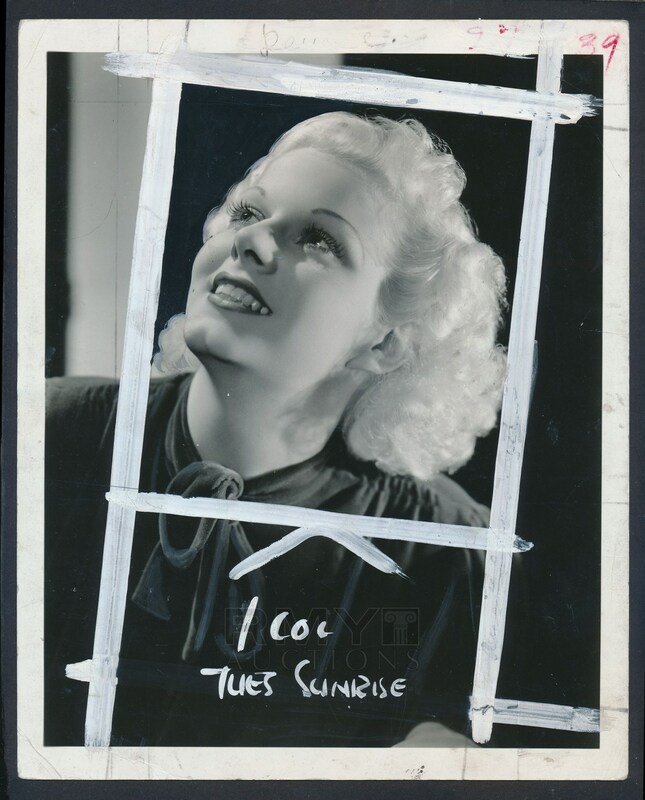 1935 Double weight studio photograph of the most important actress of her era, Jean Harlow. A stunning vintage example dated on the back, this is the work of photographer George Hurrell and his bold stamp also graces the reverse of this masterpiece. 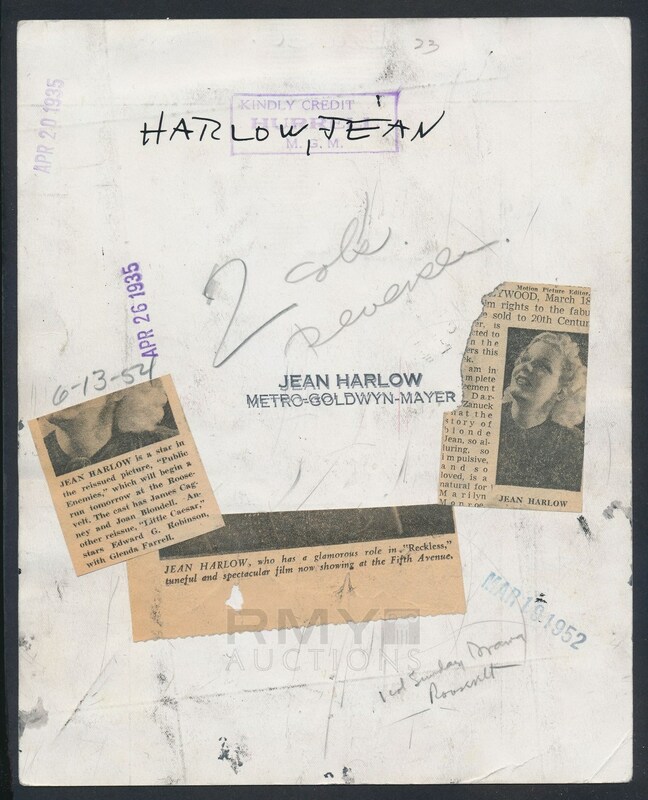 The photo has some wear from news-room handling as well as some painting from editorial art, but it is crystal clear and is one of the few stamped originals of Harlow by Hurrell we have ever seen!